QR Codes, or Quick Response Codes, are all the rage nowadays. You know, those black-and-white barcode-looking thingies that show up on magazines, posters, and even some t-shirts. 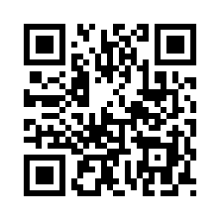 A QR Code is actually fairly similar to a barcode: it’s an image that encodes data like URLs, phone numbers, words, and more. You can even take a picture and sort of turn it into a QR code (the picture is uploaded to the internet and the QR code encodes the URL of the picture.) Sure you lose some aesthetic value, but hey.